The Planning Authority and the planning and construction industry in Malta had reached a historic low, where there was enough boldness to destroy a priceless gem without permission, in full view of the public, Partit Demokratiku said on Sunday, referring to the video showing workmen dismantling part of Villa St Ignatius in Balluta on Saturday. "The time has come to enforce the law and existing policies, without recourse to loopholes. Without proper enforcement, anarchy will reign and the situation shall continue to degenerate," it said, noting that demolition had no permit. "In the wake of attempts by civil society and residents to protect Villa St Ignatius, one of the oldest buildings in the area of rich architectural value, workers have been caught on film demolishing the building. Attempts by the PA to halt this crime have come to naught. "Once again the Partit Demokratiku calls for a national masterplan which will take into account the culture and heritage value of Malta's patrimony rather than just the short term monetary value, and which factors in quality of life," it said, adding that the people of Malta should be recompensed, "via any and all channels which exist". "A clear and unambiguous message must be sent by NGOs, residents, civil society and all politicians of conscience. All must band together across party lines to denounce the defilement of Malta's soul." Villa St Ignatius in Scicluna Street, St Julian’s, forms part of a larger property which once housed the first Jesuit College in Malta. 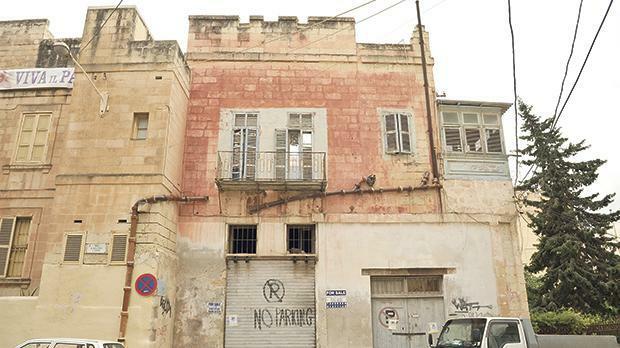 The front of the old college is already scheduled, but no such protection has been extended to the villa, believed to be substantially older and already mentioned as a landmark building in an 1839 account of Malta.